Does your brand have a point of difference that gives it an edge over the competition? Great brand strategy is grounded in clearly articulating your differentiation against competitors. Successful brands continually accentuate these differentiators to their customers and prospects. 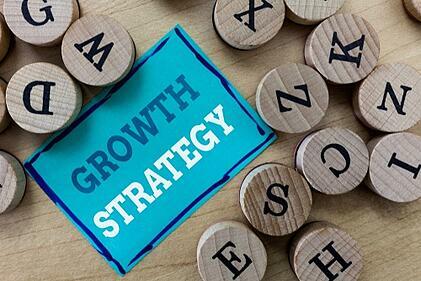 Notably, brand differentiation is not only vital from a marketing perspective, but it also has broader overall business implications; differentiation directly affects a brand’s profitability and long-term viability. Particularly, when customers view brands as interchangeable, they base purchase decisions primarily on price. Being seen as exchangeable inhibits a company’s ability to command premium pricing, translating to lower product margins and reduced profitability. Not surprisingly, customers are less loyal to brands they feel are undifferentiated, which leads to lower revenue, decreased market share, and ultimately impedes a brand’s ability to survive, especially in challenging market conditions. There is good news, however; brands can establish meaningful differentiation, but to do so requires they remember what it means to be different. As brand consultants, clients naturally reach out to our consulting firm for brand strategy fundamentals. Here are five tips that will start you down the path of establishing meaningful differentiation. All brands need a compelling and unique positioning to attract customers and resonate with stakeholders. Every aspect of brand activation must be rooted in (and consistent with) its positioning. In the early days of brand management, conventional wisdom advocated brands be positioned around a consumer benefit; i.e., “what” the brand does for you. However, the “what” question is just one way to position a brand. Today, there are many examples of brands that have achieved differentiation in other meaningful ways. As technology continues to evolve, customer experience is becoming more and more homogenized. As soon as one brand launches provide free delivery or same-day service, other brands generally follow suit quickly. However, consistent with the brand positioning discussion above, by definition, different brands should provide different experiences. Too often companies think in terms of “the” optimal customer experience as if there were only one optimal experience. In reality, different customers seek different brands because they actually don’t all want the same thing. Rather than focusing on one ideal customer experience, brands should explore touchpoints along their customers’ journey that are inspired by and consistent with the brand positioning. Doing so provides customers the benefits of distinctiveness and variety, enabling them to choose the experience that is most meaningful to them. Take inspiration from Disney and its iconic mouse (who recently celebrated his 90th birthday). Disney is the gold standard in branded experiences. Every aspect of the Disney experience—from trips through the parks to movies, traces its purpose back to the magic that has made Disney ‘the most magical place on earth’ for so long. Customers want brands to treat them like human beings, not mass-marketed demographic numbers. With advances in technology and more sophisticated marketing practices, it’s easier than ever to customize experiences. There’s no reason not to give customers personalized offers and experiences that make them feel valued. Coca-Cola’s 2014 “Share a Coke” campaign executed mass personalization flawlessly. Every can of Coke included a popular first name on it, utilizing names from different ethnicities and cultures around the world, which encouraged people to find their own cans and share with their friends and family online. Connecting with customers in more meaningful, lasting ways requires that brands bridge the gap between relationships and transactions. To connect with customers in more meaningful, continuous ways, brands must bridge the gap between relationships and transactions. With technology and social media, interacting with customers anytime, anywhere is effortless. But these various touchpoints should all be consistent with the brand positioning. Customers quickly recognize disingenuous brand tactics, and they understandably resent them. Resist the temptation to jump on the bandwagon just to be part of the conversation. Instead, touch customers in areas where the brand’s presence makes sense. For example, when Uber partnered with Hilton’s loyalty program to help guests book transportation in new cities and find places to eat and things to do near their hotels, it made sense; it felt genuine and remained consistent with and true to Uber’s brand positioning. Following the crowd with a ‘fear of missing out’ mentality never yields exceptional results. Brands should reject incremental fads and flavor-of-the-month line extensions. Instead, they should pursue long-term, transformational brand-inspired growth. Don’t be afraid to extend your brand into new markets and industries. It’s the only way to achieve meaningful and sustained growth. Preferably, identify bold steps—without contradicting or otherwise jeopardizing the brand’s positioning—and take the plunge. Brand differentiation is a long-term objective, not a take-a-pill-and-call-me-in-the-morning solution. That said, it’s a formidable goal and by no means an unattainable one and the topic of my forthcoming book—The Indispensable Brand. With these principles in mind, brands can escape the proverbial ‘sea of sameness’ and provide customers with what they actually want: relevant, unique, on-brand differentiation. A version of this article originally appeared on the Marketo blog.